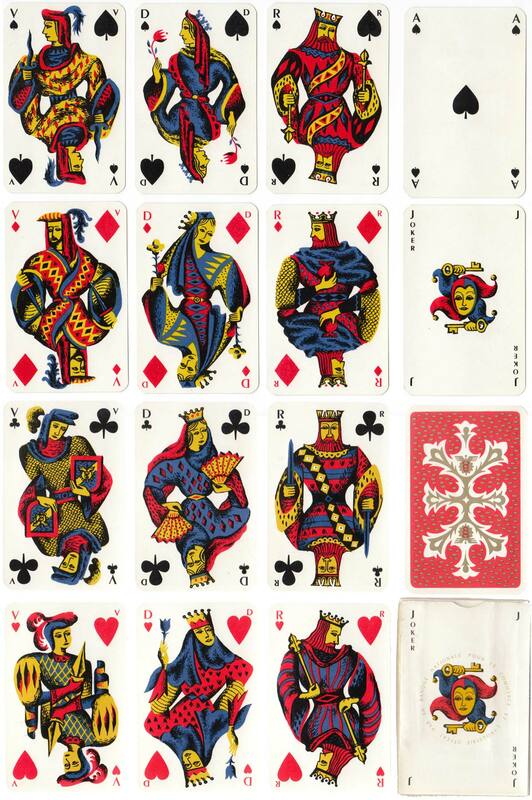 Special deck made for La Banque Nationale de Paris by Van Genechten, Turnhout, c.1962. The artist is unknown. The courts wear medieval attire and the joker hints that your money will be safe under lock and key. Above: deck made for La Banque Nationale de Paris by Van Genechten, Turnhout, c.1962. 52 cards + 2 jokers. Gold corners. Images courtesy Rex Pitts.